I would like complement for your extra efforts which you put ITIL V3 foundation Training, strong knowledge on subject your good infrastructure make pleasance, you were highly recommended to me by several people whose opinions are well regarded. Thank you for professionally organizing training meet. It was well coordinated & we all enjoyed it. 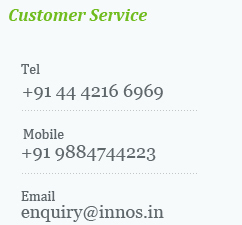 Please convey our special thanks to INNOS MANAGEMENT as he has done an excellent job & we all appreciate his customer sensitivity/focused approach.